Op het interessante blog Play the Past, waar het raakvlak tussen cultureel erfgoed en gaming wordt onderzocht, vandaag een post over het computerspel 'Gone Home'. Je speelt daarin het personage Kaitlin Greenbriar, die na een verblijf van een jaar in Europa terugkeert in haar ouderlijk huis in Oregon, waar ze van alles vindt, behalve haar familie. Waar is die gebleven? It is a story told without dialogue or any direct interaction with other characters (...) leaving the player to piece things together by sifting through the traces left by Kaitlin’s absent family. As Steve Gaynor (...) put it (...) while “novels excel at expressing the characters’ internal states”, in Gone Home the player starts “by only seeing the evidence of these people, the impression they left behind. 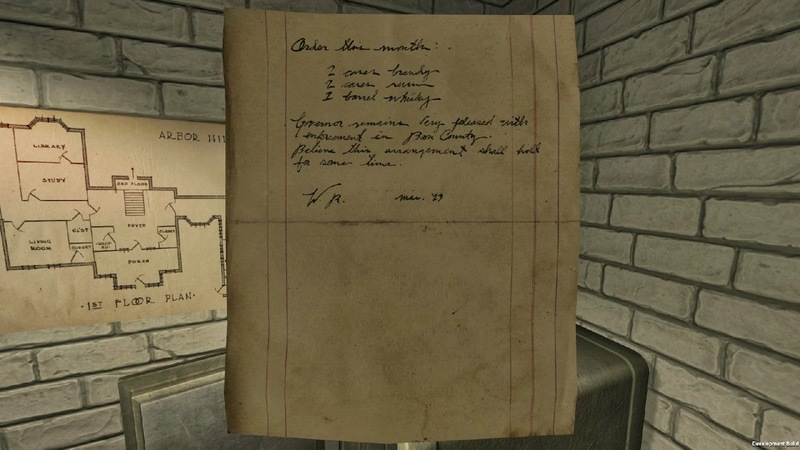 (...) the true depth of Gone Home’s narrative relies on the player sifting through a familiar array source types – letters, wills, portraits, diary entries, calendars, cassette tapes, pamphlets, etc. – and collating those snippets of information in order to understand a deeper narrative. As the threads trail of further into the past, their direct relevance becomes less clear, but no less real. An otherwise simple yet utterly moving story becomes part of a wider family history stretching back through three generations, the past and present interacting. Confronted with a range of evidence, the player can piece together the lives, thoughts and relationships of a cast of absent characters, as well as understanding their (occasionally complicated) relationships with history and the past. Van zoiets word ik erg enthousiast! Prachtig hoe (archief)onderzoek naar een familiegeschiedenis hier is gevormd tot computerspel. En hoe je via dat spel van doen krijgt met informatievaardigheden die ook voor archivarissen en historici van belang zijn. Beslist een aanrader om de volledige blogpost eens te lezen. En om het spel te spelen.